The Johnson Dental Clinic is a collaboration between the Boys & Girls Club of Corvallis and the Community Health Centers of Benton and Linn Counties. 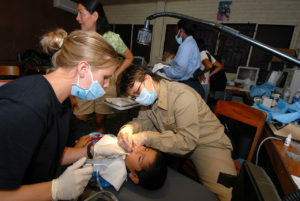 Services include prevention and early intervention dental services to alleviate pain and suffering in children and youth in an accessible and youth-friendly environment. Children who qualify for free or reduced lunch are eligible. The clinic also accepts children covered by OHP. **Braces or wisdom teeth extractions are not provided. Our dental staff provide annual screening, fluoride, and sealant at schools in Benton and Linn Counties. 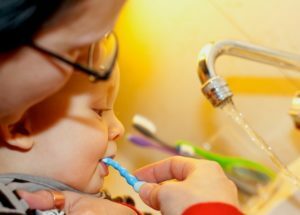 Dental staff provides annual screening, fluoride varnish, and sealants at a number of Women, Infants, and Children (WIC) sites in Benton and Linn Counties.